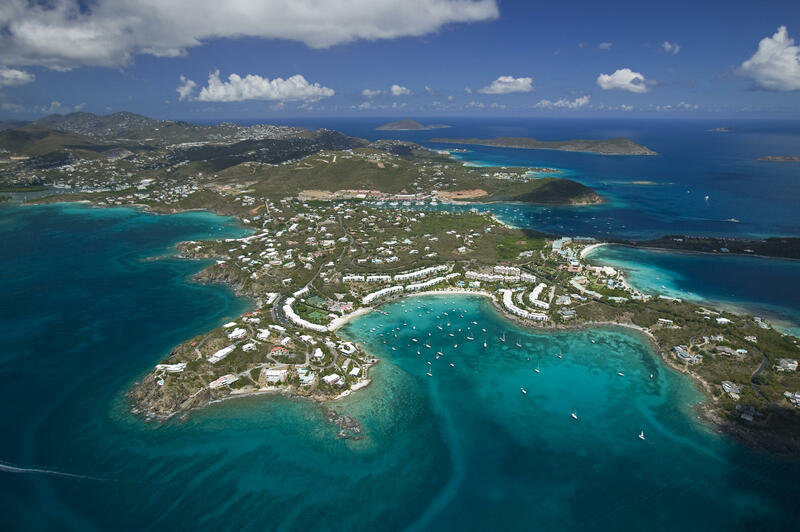 The Anchorage condos offer a very compelling combination of location, amenities and the lowest condo fees of any of its three neighboring complexes along Cowpet Bay on the desirable East End of St. Thomas. The Anchorage is a J-shaped sweep of handsome buildings that arch around a spacious courtyard whose green grass extends to the shoreline. 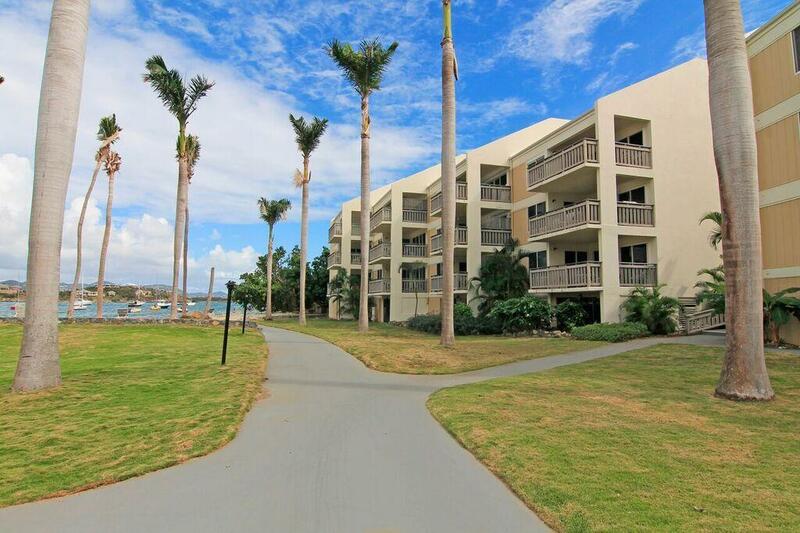 Along the way are two tennis courts and a large ocean-side pool exclusive to the residents. 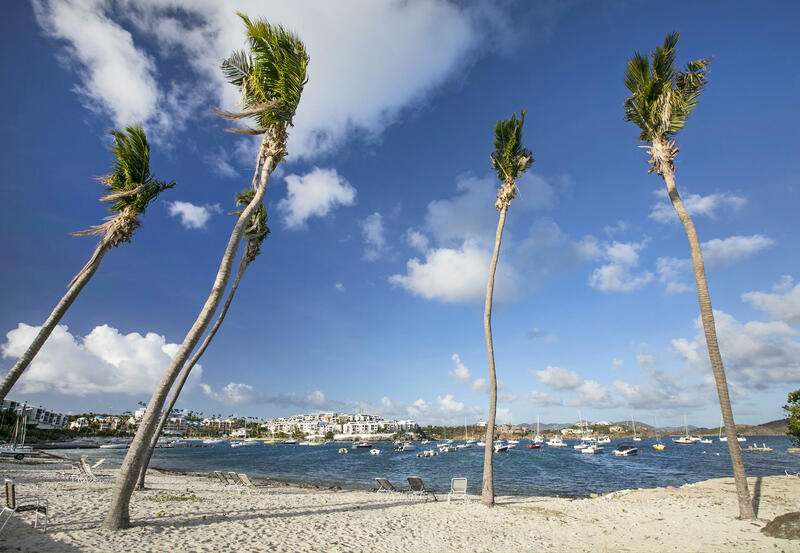 The Anchorage, located on prestigious Deck Point, is a gated community of 75 condos, either two-bedroom or two-bedrooms with a loft. Owners sometimes convert the loft space into a big master bedroom as the other bedrooms are cozy. But the front bedroom opens onto a sizable porch that makes the courtyard and the ocean feel like an extension of living space. There are stairs, ranging from a few to several, to reach most units. Because it’s located on Cowpet Bay, you are walking distance from the two seaside restaurants nestled in the Elysian condo complex down the shoreline, and you’re minutes from the conveniences and entertainment options that nearby Red Hook offers including restaurants, clothing and gift stores, a medical practice, a pharmacy, a video store and a good grocery store, in addition to the ferry terminal that links you to St. John and the British Virgin Islands. 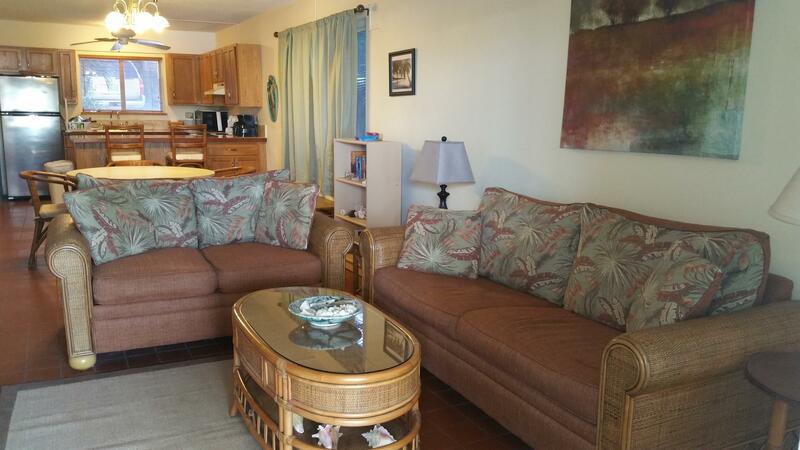 For the investor, The Anchorage offers a great opportunity to use your unit as a vacation rental.